"Working on Hajj is a human obligation to God, that is, for those who are able to travel to the Baitullah. Whoever denies (the obligation of Hajj), then Allah is All-Rich (does not require anything) of the universe. "(Surah Ali Imron: 97). And the scholars also agree that the hajj law is mandatory once a lifetime for the capable. Even the obligations of the Hajj including the case of al ma'lum minad here bidh dhoruroh (by itself is known obligatory) and who deny his obligations expressed infidel. Not a new thing about the temperature of the hot air in the holy land, the arrival of pilgrims from Indonesia in Medina greeted by the extreme temperatures of summer. A blow of dried wind and dust flying to accompany hot air that ranges over 45 degrees Celsius. It was immediately felt by pilgrims upon arrival at Amir Muhammad bin Abdul Aziz Airport (AMMA) Medina, as they exit the plane door. This condition becomes a challenge for the pilgrims and the Organizing Committee of Hajj Indonesia (PPIH) Saudi Arabia.To overcome such extreme temperatures, Kasi Hlin Health Clinic of Indonesia (KKHI) Daker Madinah Ika Nurfarida Sholeh explained that to avoid the worst possible, the worshipers must minimize outdoor activities. "This is done to keep the condition fit during the peak of the pilgrimage. Because the temperature in the city of Medina is hot, about 40-50 degrees Celsius if at noon, "he said in Medina, yesterday.Jamaah are also encouraged to drink more water to avoid dehydration. In addition, they also have to wear a mask that has been dampened because the air humidity in the city of Medina is very dry and low. If not strong, it will make the nose bleed. "The lightest dry skin and chapped lips. The most severe heat stroke that can result in decreased awareness to death, "said Ika Nurfarida Sholeh on the sidelines take care of the arrival of pilgrims kloter first airport AMAA Medina. 1. Though not feel thirsty must drink a lot, 300 cc / hour (glass), without waiting thirsty. "It's okay though often to the toilet," he said. 2. Wear protector: umbrella, hat, footwear, sunglasses, shelter, wet mask, sunscreen. 3. Avoid excessive physical activity especially outside the building. 4. Spray face and body parts exposed to sunlight.Those are some tips that are recommended for pilgrims in the face of extreme temperatures in Saudi Arabia for health to stay awake.Source: republika.co and other. 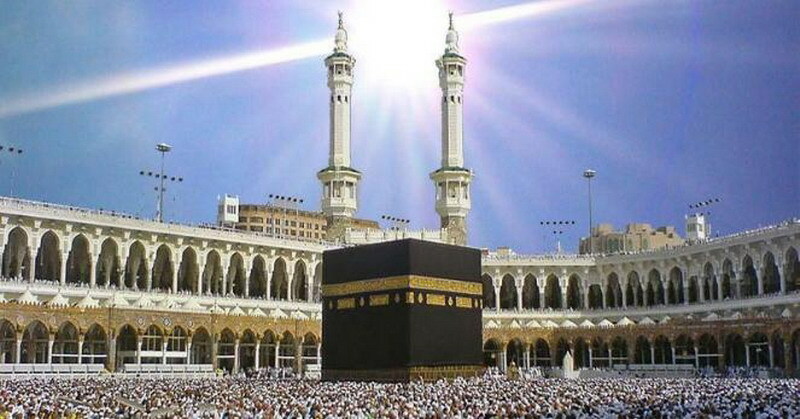 0 Response to "O Hajj Pilgrimage, Here are 4 Tips In Tackling Extreme Temperatures"